It has long been my intention to set down some general thoughts on the nature and purpose of exploration, with some particular observations on first-contact missions. This is as good a time as any to attempt to organize my thinking: not only because Beverly remains away but also because war is, at last, over, and it is my hope that Starfleet can, as a result, return to its primary mission of peaceful exploration. My small hope is that these reflections might prove of some use to a reader embarking upon voyages such as those that have been the boon and the challenge of my life. What is the purpose of exploration? Why do we search? What draws us on the quest and makes us leave behind the considerable comforts that our homeworlds might offer? What makes us absent ourselves and choose to make a transient home among the stars? The pursuit of scientific discovery, of course, has driven many of my colleagues: to be the first to document a new species, or hear a new language, or see the ancient ruins of a civilization that was gone before life had emerged from Earth’s oceans. There is, too, a fascination with the unknown: to chart not only the farther reaches of space but the farther reaches of knowledge as well. And then there is the challenge of it all—not simply the logistics of crewing and commanding a vessel such as the Enterprise, but the challenge that one sets oneself: to be pitted against the unknown and to find within oneself the capacity to respond not with fear but with curiosity, empathy, and humility. War has, for too long, distracted us from these purposes: from the pursuit of knowledge for the benefit of others; from the pursuit of self-knowledge for the benefit of ourselves. Let us hope that peace will usher in a new era of discovery . . . Doctor Katherine Pulaski knew that people didn’t like her, and she didn’t care. She led a good life—a life she loved, full of travel, adventure, and a handful of excellent friends who did not trouble her beyond her interest or inclination to socialize with them. Above all, she had her work, to which she was devoted passionately and with a degree of absorption that made it the primary love of her life. Friends, lovers, husbands—they came and went, but work was always there, a companion, a challenge, and a source of great satisfaction and pride. She was an expert in several fields and had made breakthroughs in genomic therapy that had markedly improved the lives of many people. She was successful and busy, and had never compromised her ideals or opinions to get where she was. So why the hell should she care that others thought she was cantankerous and awkward? That was exactly what she was—and she knew herself well, loved what was there, and didn’t worry about the rest. And now Katherine Pulaski had a spaceship to play with, the fruit of many hours browbeating the decision makers at the Rosalind Franklin Institute for Biomedical Research until they gave her exactly what she wanted in the hope that she would go away for a long time (it was a technique that worked, so why would Pulaski pass it up?). The ship was called the Athene Donald (after a scientist Pulaski had long admired), and it was, she was pleased to tell anyone who asked (and a few who didn’t), a civilian science and exploration vessel. There had not been enough of these in recent years, in Pulaski’s opinion. In grand old-fashioned style (Pulaski was both grand and old-fashioned), this ship—with its crew of scientists and researchers—was going to travel into uncharted space to explore what was out there, doing science all the while. Pulaski had wasted no time in assembling a team, and right now the Athene Donald was on its way to Deep Space 9 for some final pickups before setting off on its maiden voyage. She had exactly the crew she wanted. First, as the ship’s director of research (and de facto commanding officer), was Pulaski’s old friend Maurita Tanj. Pulaski and Tanj—a joined Trill—went back to postgraduate days, when Pulaski (kicking and screaming, naturally) had been forced by her advisers to do an interdisciplinary study with another student from the xenosociology department. Pulaski thought that the social sciences were pretty much a waste of time (not even decades of friendship with Tanj had entirely altered that opinion), but Tanj—a specialist in interspecies group dynamics—had known from the get-go how to handle her difficult study partner, and their project (looking into different care strategies for patients across five separate species groups) had won several academic prizes that year. Pulaski, who set store by results, had thus been convinced that Tanj’s specialty had at least some worth, and Tanj, who found the other woman’s spikiness and frankness hilarious, had warmly accepted Pulaski on her own terms. They had been friends ever since, and Pulaski knew that the person to make the Athene Donald the success that she wanted (and who was interested in failure? Not Kitty Pulaski) was her old friend Maurita Tanj. The Trill knew how to handle people: not only Katherine Pulaski (that was always a bonus) but also the very special crew that they had assembled. Because the Athene Donald’s big sell—what had made the folks at the institute balk initially at giving her the ship but had eventually persuaded them of the worth of the mission (with a little oil on the joints from Tanj; Pulaski was no fool)—was that the crew was multispecies. So far so good. 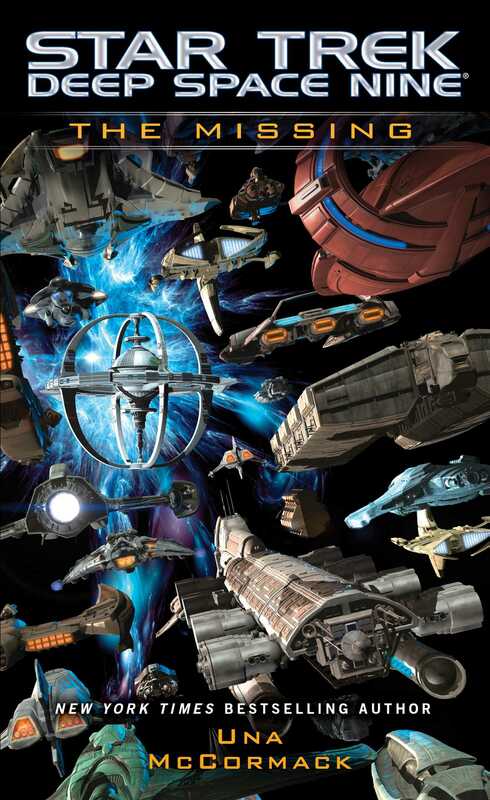 But the Federation by definition comprised many species, so plenty of its vessels had multispecies crews. The Athene Donald had gone farther. Pulaski had invited colleagues from Ferenginar and the Klingon Empire; there were several Cardassian females crunching numbers in data analysis. And that wasn’t all. What Pulaski had wanted—and what she got (with more help from Tanj than perhaps she realized)—was a truly multispecies crew. Several Romulans had signed up to participate in some of the more obscure branches of temporal warp physics. But the cherry on the top of the cake that was the Athene Donald was the person running the genetic-screening program. Her name was Metiger Ter Yai-A, and she was the first Tzenkethi ever to be permitted (by both governments concerned) to travel on board a Federation vessel. Pulaski had read her papers and wanted her: not only for Metiger’s expertise but also for the message that her presence would send. The board loved that, and Pulaski thanked her lucky stars that Maurita Tanj seemed to know exactly how to phrase what Pulaski could say only with gruff impatience. Not only did they have their ship, they also got their Tzenkethi. “What do we think of Metiger?” Pulaski said to Tanj as the Athene Donald made its approach to Deep Space 9. “Are you happy with how it’s going so far?” Pulaski asked anxiously. They were in the medical unit, a well-lit and spacious area where no effort (or expense—Ro couldn’t help thinking in pre-Federation terms sometimes) had been spared on either equipment or staff. The current chief medical officer was a case in point: Doctor Beverly Crusher was one of the most eminent and well-respected CMOs in Starfleet. She’d been assigned to DS9 after the previous CMO, Julian Bashir, had been court-martialed and convicted for his part in using classified data from the Shedai meta-genome to work on a cure to the Andorian infertility crisis. Ro didn’t know how long Crusher intended to stay: the doctor had a husband and child back on the Enterprise. But in the meantime, Ro was glad to have the best at her disposal. She certainly didn’t want her CMO unhappy. “She does,” Crusher said unequivocally. It seemed the doctor’s professional respect was not undermined by whatever personal matter lay between the two women. This would be important to getting the next few days to go smoothly, Ro suspected. Keep them off the personal and on the professional. “She’s an excellent doctor too,” Crusher said. “I’m liking this woman more and more by the second,” Ro said. A little peace and quiet, thought Ro as she made her way to her office to meet Odo. The new station, barely a year old, had already been the site of too many crises and dramas. What Ro wanted now was to be in command of a station that was functioning normally. She didn’t want to be bored—may the universe preserve her from boredom (and the associated paperwork)—but she did want a little time to enjoy her new station. Just a day or two to see how smoothly station and crew could operate when untroubled by galactic politics, assassination attempts . . .
Ro shook herself hard. They were still recovering from the shock of the death of President Bacco, here on DS9. It had hit them all hard that it had happened here, and it had hit her security chief, Jefferson Blackmer, particularly hard, since the death had happened on his watch. That was another good reason to want some quiet time. So that the crew could see exactly how well they were able to work together and, perhaps, get a little confidence back. It had hardly been the most auspicious start for the new place and its people. But that would change. The door to Ro’s office opened smoothly. Odo was already waiting for her there, and Ro crossed the room to greet him. Whatever had brought the former security chief of DS9 from Bajor, Ro could only hope that his mission would not cause her too many complications. Odo snorted. “Too idiosyncratic, if you ask me,” he said, and—was that a sniff? Could a Founder even sniff? Whatever it was, Ro warmed to this gruff no-nonsense man with the strange half-formed face. “You’re very welcome here, Constable,” she said. Odo lifted his hand, as if to stop her. “Just Odo. I am no longer a constable. I am simply Odo,” he repeated, much more softly. “My reputation precedes me,” Odo said, and Ro swore that was a twinkle in his eye. Could Founders twinkle? “I’d be a fool not to listen to gossip,” Ro said. “Quark, by any chance?” Odo said the name as if it had a slightly unpleasant flavor. “Feel free,” Ro said. “But tell me what’s brought you out of . . .” She hunted for the right word. Ro, who didn’t in general mind seeing a little retribution in action when it came to Cardassians, had to agree. Ten years was a long time to be a prisoner of war. Or irritate them beyond measure. And they wouldn’t be the only one. “You spoke to my superiors?” Ro said, a chill creeping into her voice. “You might like to check your recent communications,” Odo said politely. Ro did so. And there it was: a friendly message from the powers that be asking her to give Odo all reasonable assistance. It was Ro’s turn to growl. “Hmm.” Ro’s eye fell on the next message down. It was from a Commander Peter Alden, of Starfleet Intelligence, advising her of his imminent arrival and requesting a meeting with her as soon as possible. Another sigh. If Cardassians were a universal constant, then so was Starfleet Intelligence. And neither of them was likely to contribute to the longed-for peace and quiet.